It seems like the cost of groceries goes up every month! Sometimes, I don’t have the time to coupon – or I don’t have coupons for the items I really want. So, what’s a girl to do? Follow these simple tips and you’ll be on your way to saving money without coupons in no time! Meal plan. Meal planning is the simplest way to save money without coupons, and if you’re like me, you’ll actually enjoy doing it! Follow your favorite blogs (or even scour Pinterest) and you will have no shortage of meal planning ideas! Knowing what you’re eating will reduce impulse buys at the grocery store, and will cut down on the number of times you eat out because it’s 5PM and you forgot to thaw dinner out. You can also save a lot with cooking in your crockpot, Use the Freezer to Crockpot meals: Prep 16 meals with fresh ingredients in about an hour! and you will save time and money. Ad match. Ad matching is a piece of cake, mostly because websites like Pricematcherz.com do all the work for you! Simply pull up your local ad while you’re making your menu plan and grocery list. Put a star by the items you’ll be price matching, along with the price it will be. This makes check-out faster. Use what you have. If you have an abundance of certain foods, use them in your menu planning. Go meatless. Even if you just go meatless one day a week, you’ll save several bucks each month. Consider making meat a part of your meal instead of the main course, and you’ll save even more! Switch to the store brand. There are something that I really just don’t want to switch to the store brand on. Other things, though, I can compromise (and save a few pennies!). Decide which items you’re willing to switch out for store brands instead of national brands, and watch the savings add up. Buy in bulk. Many times, you can find another family to split with, and purchase half of a cow or even a whole one depending on your freezer space. Buying in bulk (even if it’s on a smaller scale) is one of the easiest ways to reduce your grocery bill without coupons. Buy local. If you have a local farmer’s market, check it out! You might be surprised at what you’ll find. Also, try to find a local co-op. Those are huge money savers. Check to see if you have a local “Moms on the Move”. You get 50-60 pounds of produce for just $10! Remix leftovers. Nobody likes boring leftovers, so when you have something left from the night before, remix it! Create a new dish – if you have a veggie casserole, the next night you can add some chicken and crust to make a pot pie. Choose frozen. When it comes to fish and veggies, frozen is almost as good as fresh. The taste is similar, and the nutrients are there, so why not save a few bucks by swapping out the over-priced fresh stuff for the (more convenient) frozen version? Other tips include shopping at stores like Aldi, stocking up when things are on sale, and keeping a price book so you know when something is really on sale. 52 Week Money Challenge! Easily Save $1,378 in a Year! What’s your best tip for saving money without coupons? Leave them in the comments! 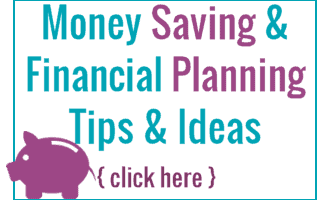 52 Week Money Saving Challenge to build your savings account for ways to put money into your savings account.